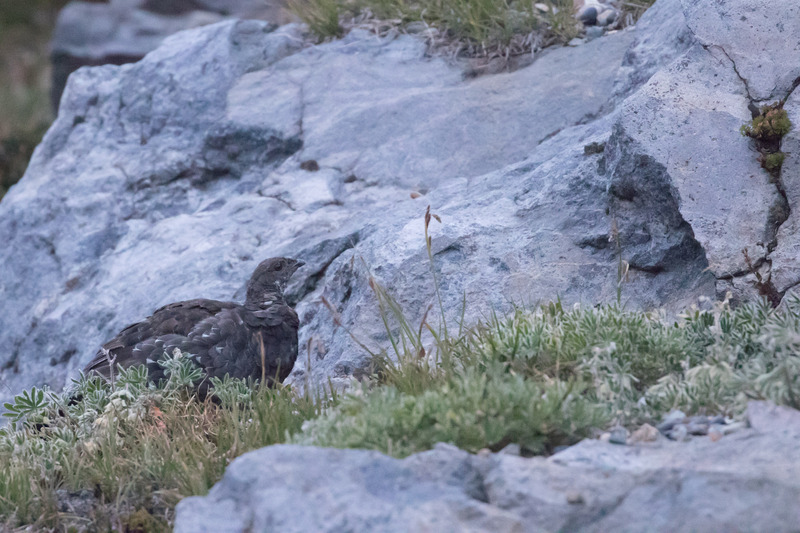 When I see White-tailed Ptarmigan reports on eBird I get excited about the possibilities. I can’t help it. I’m a sucker. Someone, somewhere saw this bird. Reporters even provide tips: “Listen as you look. Increase your odds.” Noted. My ears are open. I’ve done the math. Five attempts in two years equals zero ptarmigan. Simple as that. Math says they don’t exist. But this time would be different. I had three days off, the weather looked promising, and there was a sighting only a couple of days prior. Challenge accepted. It makes sense to start where the last bird was reported so I started in Paradise and hiked the Skyline Trail. 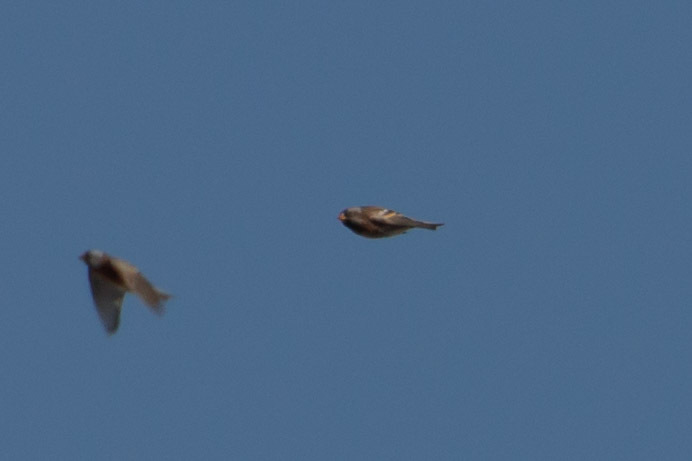 I saw lots of Golden-crowned Sparrows and Savannah Sparrows. Pretty tree-toppers. 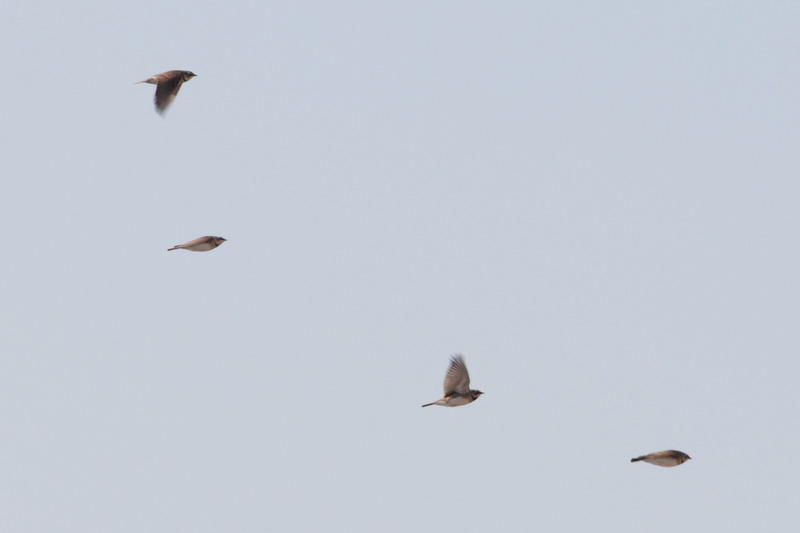 And the occasional fly-by flock of Horned Lark. 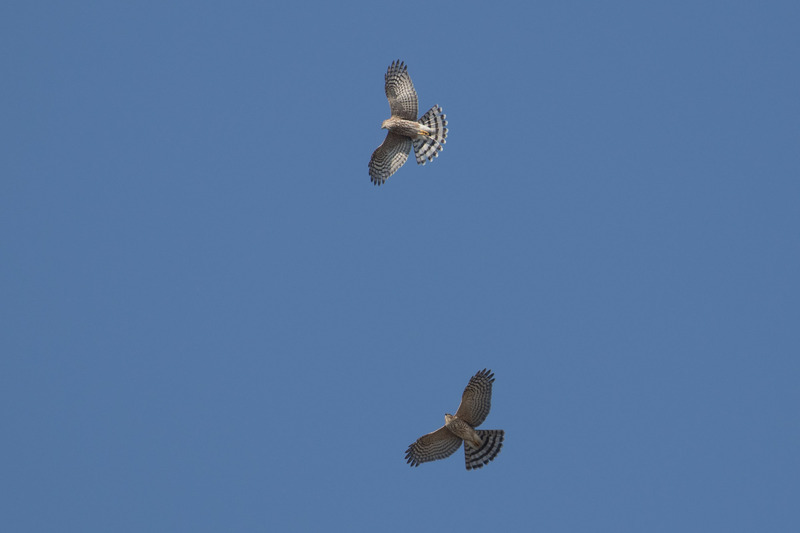 When the winds picked up I noticed a pair of hawks circling above in the sky. I originally thought Cooper’s based on size, but now I think Sharp-shinned Hawk because of the shorter head projection beyond the wings at the bend in the wrists. But I am open to suggestions. Either way they put on quite the show. 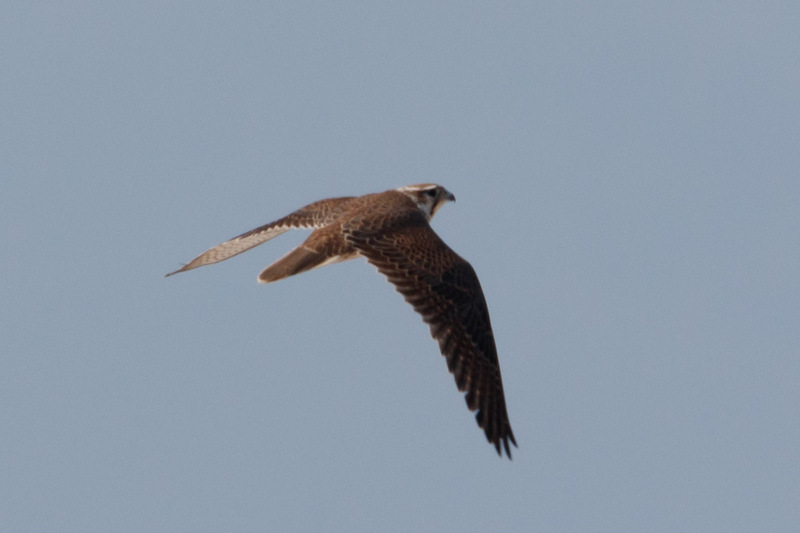 Then an unmistakable Prairie Falcon flew by. 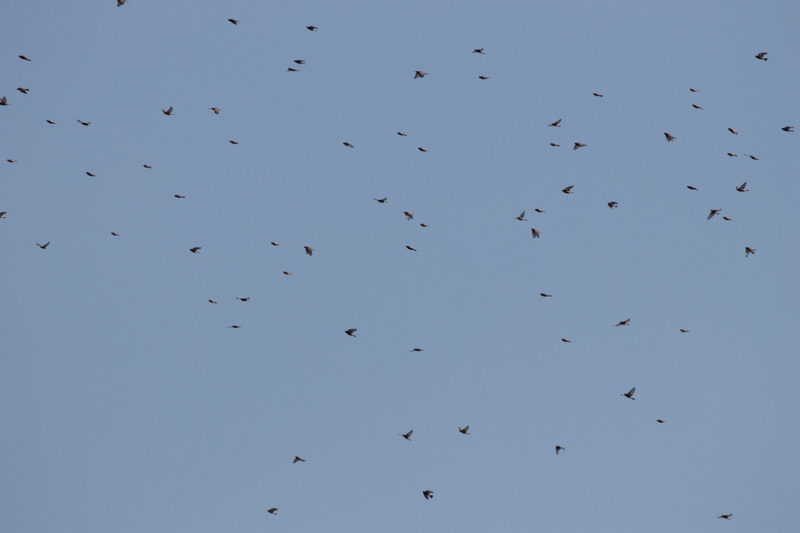 Another cool sighting was a huge flock of Gray-crowned Rosy-Finch. So many that my report of at least 75 was flagged in eBird for a high number. All this, but still no ptarmigan. Things weren’t different. No ptarm-ptarm, and too many tourists. Paradise had turned into my own personal hell and I needed a change of scenery. So the next day I drove an hour and a half farther north to Sunrise, the highest point in the park that can be reached by vehicle. This seemed promising. And just 20 minutes below Sunrise is White River Campground. Risky, but worth it. 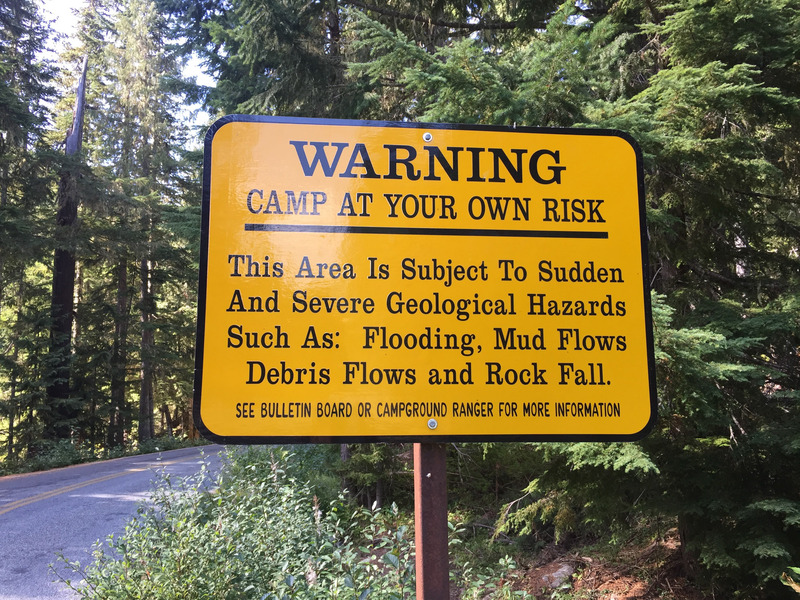 Such a pretty place, and the white noise of the river next to the sites mostly drowned out noisy campers. Early morning I headed to the top. I stopped in the visitor center to chat with a ranger about ptarmigan sightings and such, but it had been over a month since one was last reported here. According to the trail log, I had as good a chance of seeing a ptarmigan as finding Nemo. That sounded about right. 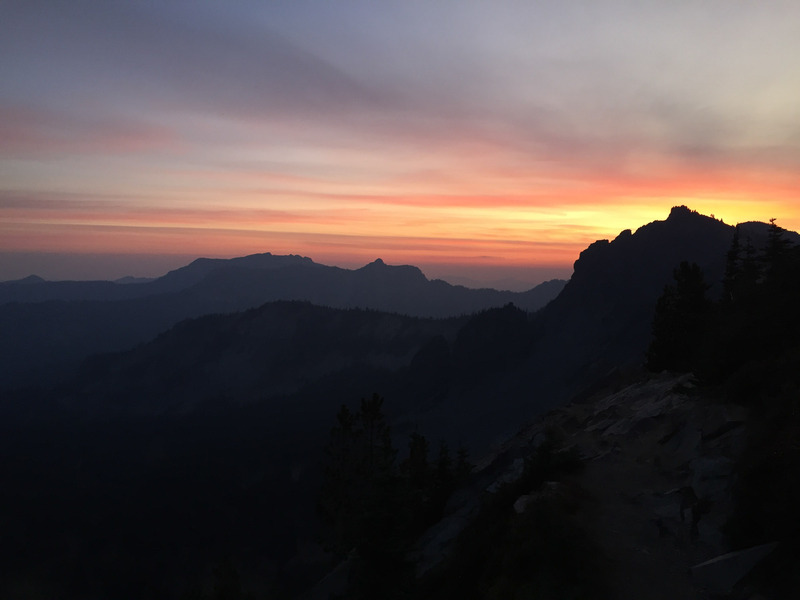 My best bet was the Fremont Lookout Trail. 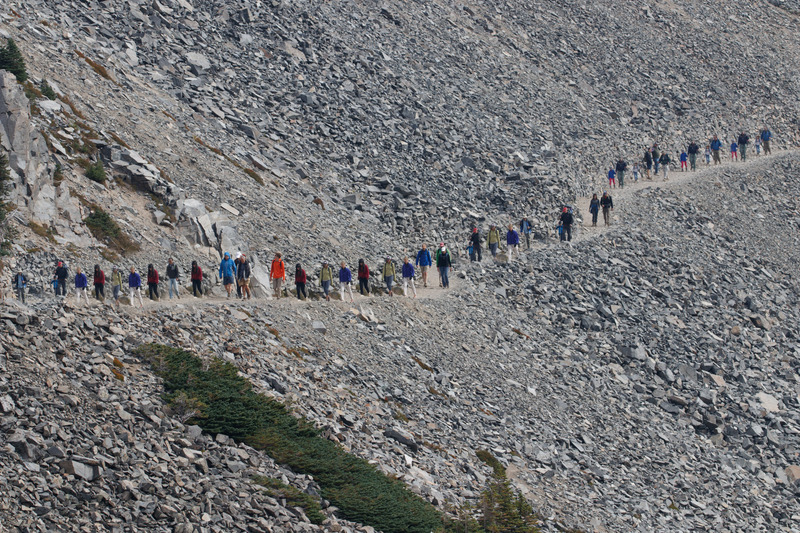 I’d hate to hike this trail in the snow. So steep. 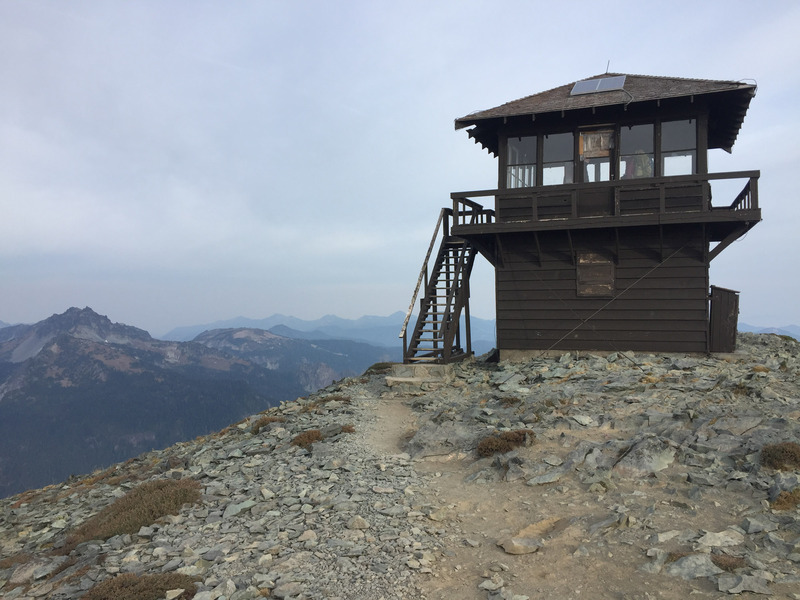 I made it to the fire lookout to find a group of hikers had camped up there. So much for birds. 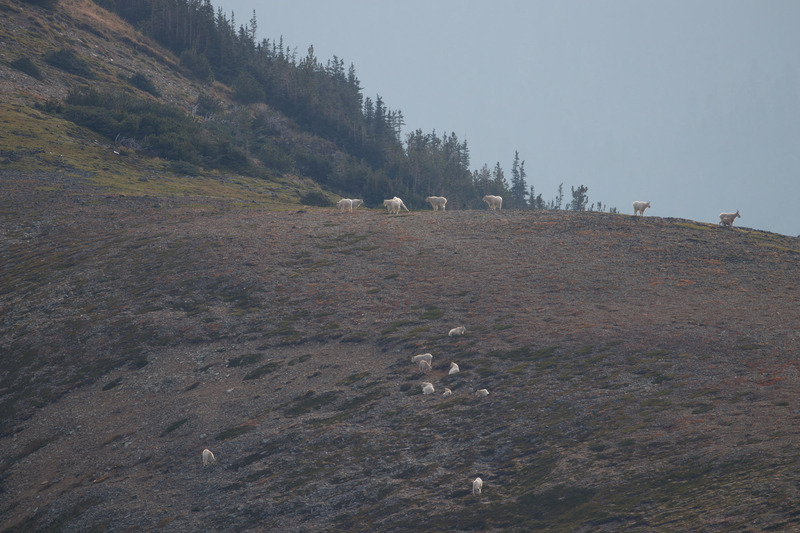 Mountain goats also camped nearby. 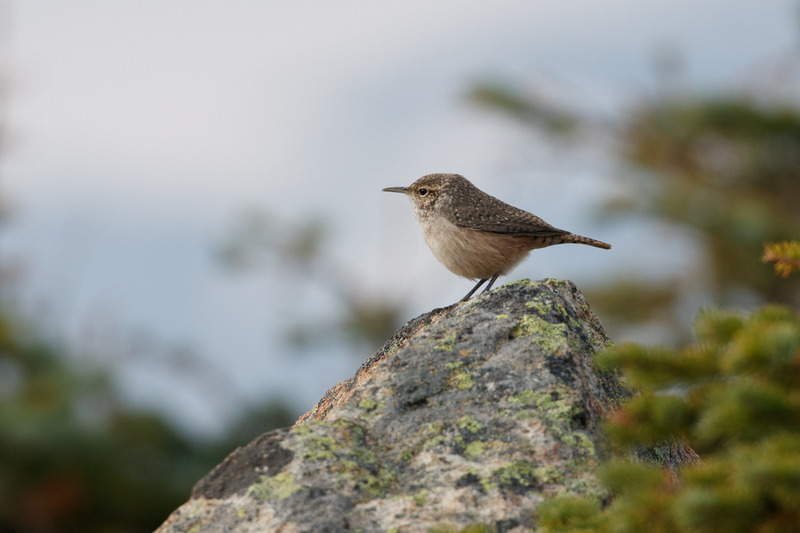 I found a Rock Wren near the top (that came up on eBird as rare for some reason). 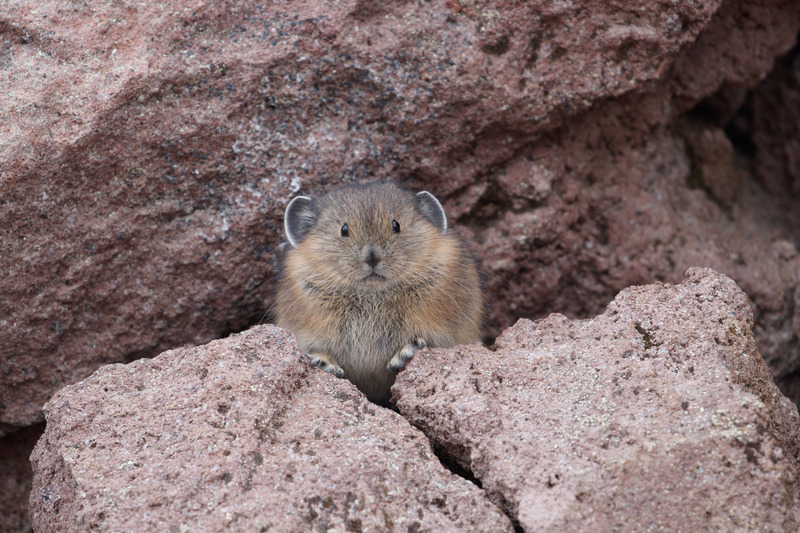 And on the way back, pika! My favorite mammal. Other birds I passed along the way included Yellow-rumped Warbler, Townsend’s Solitaire, Varied Thrush, American Pipit, Grey Jay, Common Raven. 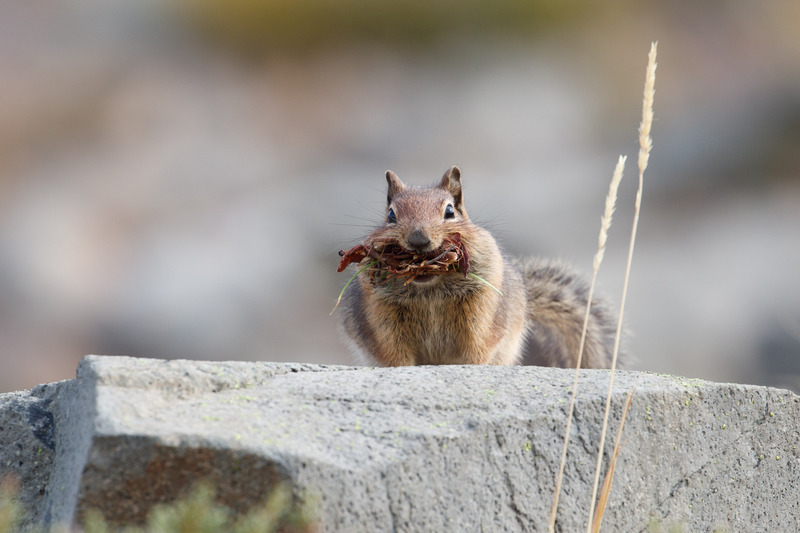 And fat, happy squirrels were plentiful. 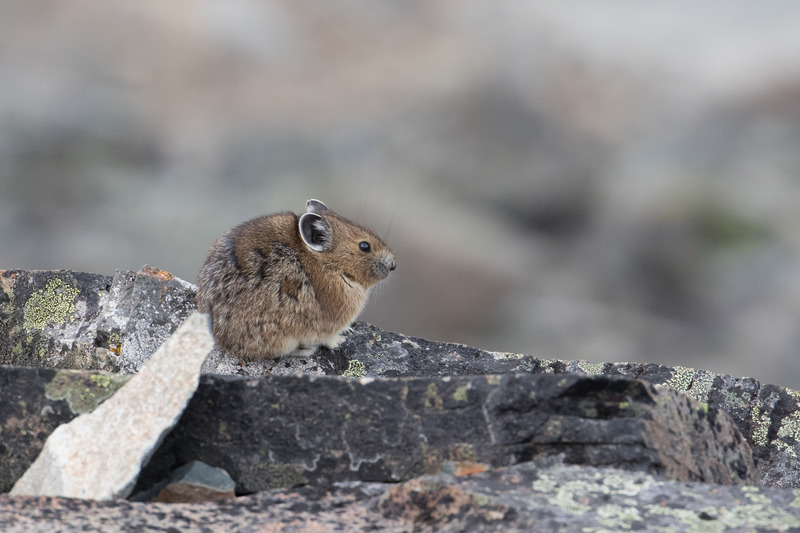 On the return hike I took a detour along the Burroughs Mountain Trail where I saw a second herd of mountain goats and the most cooperative pika ever that made my day. Though I hadn’t found ptarmigan, Sunrise felt new and refreshing. Of course I was tired and sore from hiking two days, but I felt ready to tackle Paradise again. I returned to Cougar Rock Campground and hung out with Steller’s Jays until morning when it was time to give it another go. To save time I started in the dark with a headlamp. Honestly, I’ve done it so many times I could probably do it blind-folded. 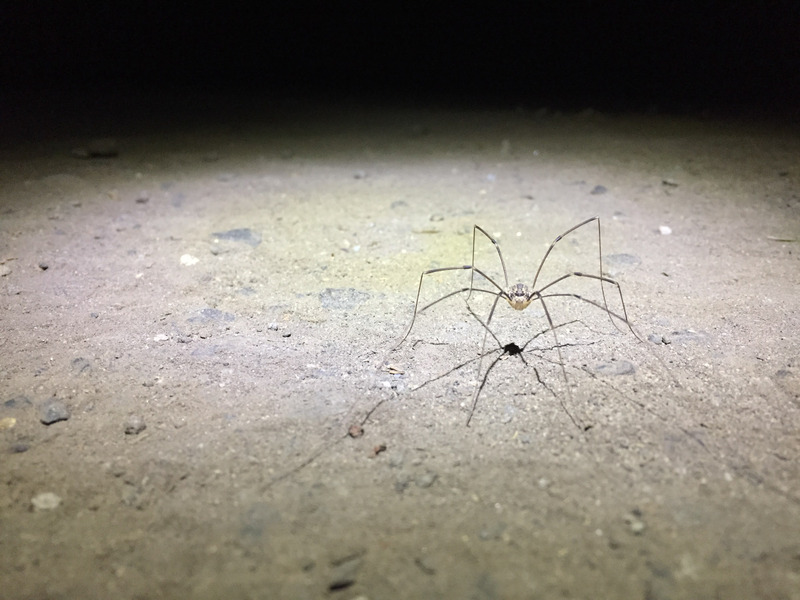 But then I would have smooshed the Daddy Long-legs. I made it to Panorama Point before sunrise, and almost pooped my pants when I saw a chicken at the top. But it turned out to be a ptarmigan in a Sooty Grouse costume. So close. I searched a little while longer before accepting my nemesis bird had gotten away again. After three days of looking, I felt I’d given it a solid effort. I’m left still excited for the possibilities. Since returning I’ve crunched the numbers and unless I’m reading them wrong, in the past few years reports of White-tailed Ptarmigan at Mt. 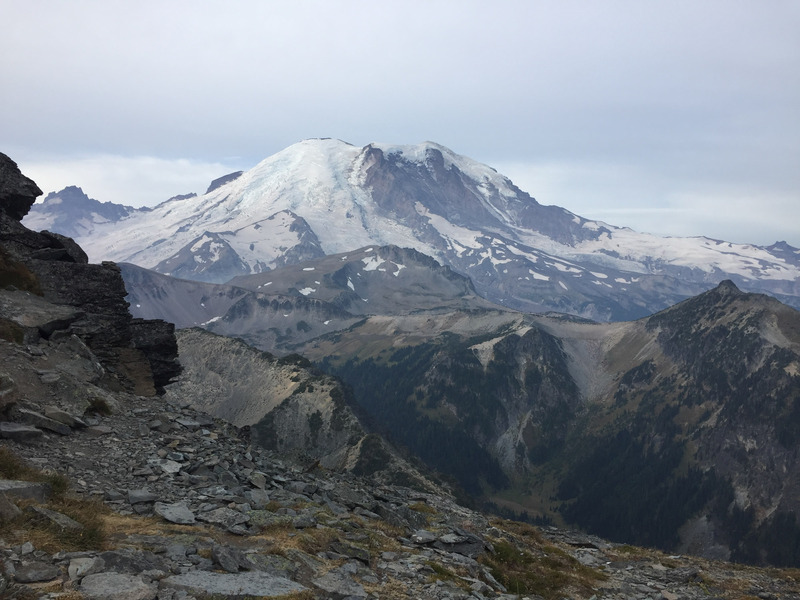 Rainier have gone way down. Does this mean there are fewer birds? Or fewer birders reporting them. Of course this isn’t enough data to draw any real conclusions. 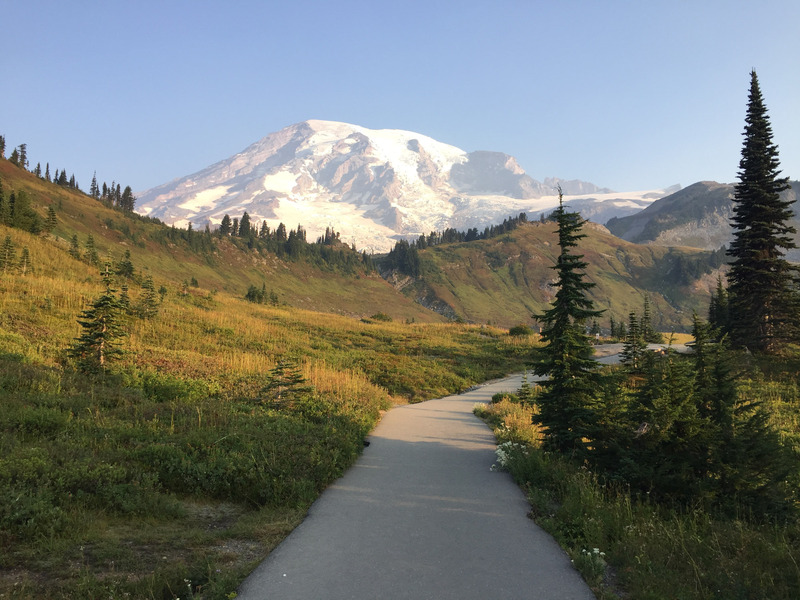 I’d love to see population census data from a controlled study on Mt Rainier. From 61 eBird reports: Most birds seen in August (80), the earliest sighting is April, latest is October, more reports from Sunrise than Paradise (36 vs 23), with a combined total of 175 birds. Best eBird photos here, here, and here. Funniest report here. 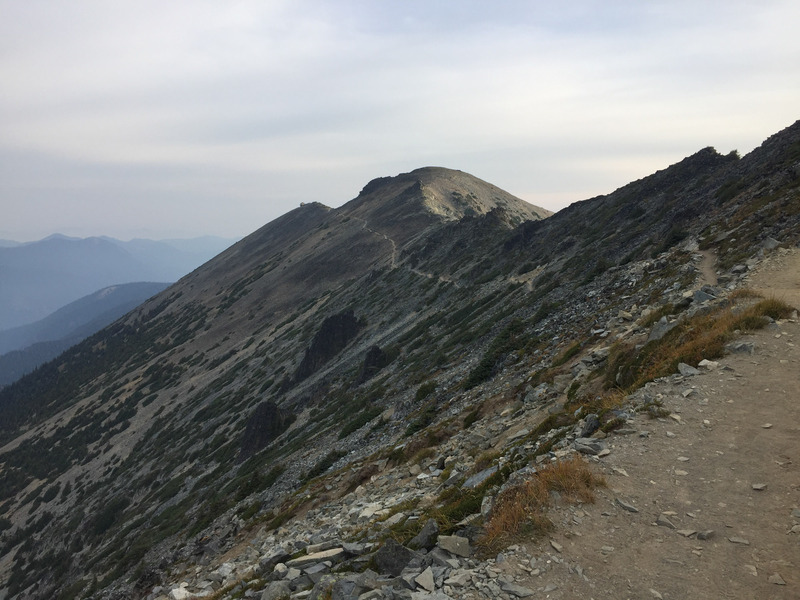 TLDR: The best bet is go to Sunrise on a Thursday in August at 10:00am, hike the Fremont Lookout trail for 5 hours and you’ll see 2.86 ptarmigan. Brilliant. I’ll see you there. This entry was posted in Birding Trips and tagged American Pipit, Common Raven, Cooper's Hawk, Golden-crowned Sparrow, Gray-crowned Rosy-Finch, Grey Jay, Prairie Falcon, Rock Wren, Savannah Sparrow, Sharp-shinned Hawk, Sooty Grouse, Steller's Jay, Townsend's Solitaire, Varied Thrush, White-tailed Ptarmigan, Yellow-rumped Warbler by audge29. Bookmark the permalink. Pick me up at 6:30 a.m. on August 16th, 2018. CAN’T FAIL. I agree on sharpies with those pigeon faces. Thanks! Some day I’ll graduate from Accipiter school.